The highest mountain range in the world is much more than the physical mass that most of the world thinks of it as. Stretching itself immensely around 2500 kms in length, along the boundaries and covering parts of 5 Asian countries, the rugged terrain of the Himalayan range is broken intermittently by valleys and plateaus that have allowed habitation. 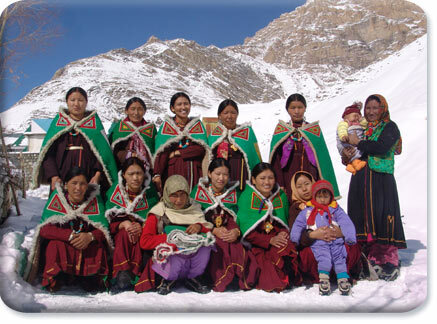 Although a tremendously difficult terrain, the Himalayas are thus inhabited by a sizable population belonging to different indigenous tribes. Buddhism, Hinduism and Islam are the main religions practiced here. But Buddhism is very popular, thanks to the Dalai Lama. There are no dearth of monasteries in these areas and the Dalai Lama has expressed that he spends the reminder of his retirement in the famous Tabo monastery situated in Spiti Valley. The people are warm and welcoming and always ready to help anyone out if need be. There is always something to learn from them. I modeled a great deal of patience and how to keep a smile on my face, even when things aren’t working in my favor. These areas are popular tourist destinations and has helped the financial situation of the place in a grand way. Folks in this region make enough money to make ends meet. But that might not always be the case. Although the trade and tourism industry is their bread and butter, the drastic change in climate and the extreme weather conditions do not allow them to have fair game. Having said that, there is much to be learnt from these simple folk. Virtues we could very well use in the city. Humble mannerisms and a smile being just a few. Most of the people in this region worship the mountains as their preserver, protector and life-giver. They strongly believe in the mountain goddess. All communities are strongly religious. Might I say, their hearts are as big as the mountain itself. People here usually eat yak meat and plants grown around the place. Yak cheese is quiet well known to battle nausea when trying to traverse the winding roads on the mountains, which is why it’s quite popular with the tourists. The Himalayas also boast of a rich tapestry of traditional knowledge, spanning domains, such as architecture, medicine and agro-forestry that reflect the particular ecological conditions of the region. The people and the region leave their imprints on your heart, mind and soul. 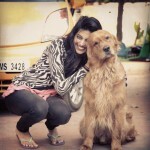 Lily Dechamma is a writer, an animal lover and an avid traveler. She loves exploring new places and connecting with people from different cultures. She also has 4 cats and 1 dog and they all live in harmony.